For the 2015 women's tournament, see 2015 ICC Women's World Twenty20 Qualifier. The 2015 ICC World Twenty20 Qualifier, for the 2016 World Twenty20, was held from 6 to 26 July 2015. The tournament was hosted by both Ireland and Scotland. 51 matches were played among 14 nations, down from 72 matches among 16 nations previously. The tournament formed part of the ICC World Twenty20 Qualifier series, with the top six teams going forward to the qualifying round of the 2016 ICC World Twenty20 tournament. Matches where both teams have T20I status were recorded as a Twenty20 International match. The teams in this tournament with this status are Scotland, Ireland, Netherlands, Afghanistan, United Arab Emirates, Hong Kong, Nepal and Papua New Guinea. Matches which feature one or two teams without T20I status were recorded as a Twenty20 match. Scotland were the first team to qualify for the 2016 ICC World Twenty20 tournament by finishing top of Group B. Co-hosts Ireland joined them by finishing top of Group A. Joining the two group winners through the qualifier matches were the Netherlands, Afghanistan Hong Kong, and Oman. It was the first time that Oman qualified for a major ICC event and with their win over Namibia, they gained T20I status. The UAE and Nepal who made their debut in the 2014 ICC World Twenty20 did not qualify, however the UAE did play in the 2016 Asia Cup which for the first time was played in a Twenty20 format. Scotland and the Netherlands shared the trophy after the final was abandoned without a ball being bowled due to rain. The Netherlands were the only associate nation to advance past the group stage in the 2014 ICC World Twenty20 tournament. From the 14 teams, the top 6 qualifiers will progress to the first (qualifying) round of the 2016 ICC World Twenty20, where they will meet the ninth and tenth-ranked full members (Bangladesh and Zimbabwe) in the ICC T20I Championship table as on 30 April 2014. The teams for the two groups along with the fixtures were announced on 14 May. Scotland's Kyle Coetzer was not originally included in the 15-man squad, but was added on 10 June after Freddie Coleman withdrew due to personal circumstances. America's Steven Taylor withdrew from the squad on 22 June after securing a contract with Barbados Tridents in the Caribbean Premier League (CPL). He was replaced by Timothy Surujbally. On 2 July Hong Kong's Waqas Barkat was replaced by Giacomo Lamplough after Barkat was ruled out due to visa issues. Canada's Nikhil Dutta chose to stay with the St Kitts and Nevis Patriots in the CPL and was replaced by Hiral Patel. South African born Roelof van der Merwe obtained a Dutch passport a month before the tournament started and was selected over Vivian Kingma. Namibia's Zhivago Groenewald was replaced by Michau du Preez. Oman's Khawar Ali returned home for personal reasons midway through the tournament, and was replaced by Arun Poulose in their squad. However, Ali returned for the 5th place play-off match against Afghanistan, and in turn made his T20I debut. Dutch bowler Ahsan Malik was reported for bowling with an illegal action following the Netherlands win over Scotland on 11 July. He was not allowed to take any further part in the tournament, until an independent assessment has taken place. Kenyan bowler James Ngoche was also suspended for bowling with an illegal action. This was following Kenya's match with Oman on 11 July. Along with Malik, Ngoche undertook an independent assessment. Hong Kong spin bowler Nizakat Khan was suspended for bowling with an illegal action, following Hong Kong's match against Nepal on 15 July. He too underwent an independent assessment. On 23 July Namibia's Jason Davidson was suspended for using an illegal action in their match against the Netherlands. He also underwent an assessment on his bowling. Namibia won the toss and elected to bat. Match abandoned without a ball bowled. United States of America won the toss and elected to field. Match reduced to 15 overs per side. Jersey won the toss and elected to bat. Jersey won the toss and elected to field. Advanced to 2016 ICC World Twenty20 and Semifinal 2. United States of America won the toss and elected to bat. Shiva Vashishat, Hammad Shahid, Jasdeep Singh, Mrunal Patel and Timil Patel (all USA) made their T20 debuts. Match start delayed due to rain. Corey Bisson, Corne Bodenstein, Edward Farley, Peter Gough, Jonty Jenner, Anthony Hawkins-Kay, Ben Kynman, Rhys Palmer, Charles Perchard, Ben Stevens, Nat Watkins (all Jer) and Anshuman Rath (HK) all made their T20 debuts. This was Jersey's first appearance in an ICC World Twenty20 Qualifier tournament and their debut win. Match was interrupted by rain after 7.0 overs of the 1st innings. (Nam: 54/1); then reduced to 17 overs per side. The game was started, but the match was abandoned after 7.4 overs of play. Alex Amsterdam and Nicholas Standford (both USA) made their T20 debuts. Start delayed due a wet outfield. Lega Siaka and Chad Soper (both PNG) made their T20 debuts. Namibia won the toss and elected to field. Start delayed due to a wet outfield. Naseer Jamali and Timothy Surujbally (both USA) made their T20 debuts. This is Nepal's lowest total in a T20 match. Charles Amini, Mahuru Dai, Willie Gavera, Loa Nou, Kila Pala, John Reva, Lega Siaka, Tony Ura, Assad Vala, Norman Vanua and Jack Vare (all PNG) made their T20I debuts. This defeat for Ireland ended a streak of 21 consecutive wins in ICC World Twenty20 Qualifier matches. Naseer Jamali (USA) made his T20 debut. Anshuman Rath (HK) made his T20I debut. Papua New Guinea advanced to the playoffs with this win. Siddhant Lohani (Nep) made his T20 debut. Giacomo Lamplough (HK) made his T20 debut. John Mooney (Ire) took a hat-trick. Sese Bau (PNG) made his T20 debut. Advanced to 2016 ICC World Twenty20 and Semifinal 1. Mohammad Shahzad, Umair Ali, Abdul Shakoor, Mohammad Tauqir and Mohammad Naveed (all UAE) made their T20I debuts. Sharafuddin Ashraf (Afg) made his T20I debut. Start was delayed by rain. Navneet Dhaliwal and Satsimranjit Dhindsa (Can) and Narendra Kalyan (Ken) made their T20 debuts. Oman won the toss and elected to field. Munis Ansari, Khawar Ali, Mehran Khan and Zeeshan Maqsood (all Oman) made their T20 debuts. Fayyaz Ahmed and Nasir Aziz (both UAE) made their T20I debuts. Match reduced to 13 overs per side. Mohammad Nadeem (Oman) made his T20 debut. Afghanistan's total of 210 runs is their highest in T20 cricket. Srimantha Wijeratne (Can) made his T20 debut. Eugene Ochieng (Ken) made his T20 debut. * Team entered by losing in the playoff qualifiers. † Teams qualified for the 2016 ICC World Twenty20 upon reaching this stage. Winner qualifies for 2016 ICC World Twenty20 and play Semifinal 1 and loser will play in Qualifier 3. Winner qualifies for 2016 ICC World Twenty20 and play Semifinal 2 and loser will play in Qualifier 4. Winner qualifies for 2016 ICC World Twenty20 and play 5th Place Playoff. Vani Morea and Chad Soper (both PNG) made their T20I debuts. Aamer Ali (Oman) made his T20 debut. Winner qualifies for Final and loser will play in 3rd Place Playoff. With their win over Namibia in the qualifiers, this became Oman's first T20I match. Aamir Kaleem, Aamer Ali, Munis Ansari, Jatinder Singh, Khawar Ali, Mehran Khan, Mohammad Nadeem, Rajesh Ranpura, Sultan Ahmed, Zeeshan Maqsood and Zeeshan Siddiqui (all Oman) made their T20I debuts. With no play possible, Ireland finished in third place due to finishing top of their group. With the match being abandoned, the Netherlands and Scotland shared the trophy. The top five runscorers are included in this table, ranked by runs scored and then by batting average. The top five wicket takers are listed in this table, ranked by wickets taken and then by bowling average. 1st to 6th Qualified for the 2016 ICC World Twenty20 and 2019 ICC T20 World Cup Qualifier. ^ The term country, in this instance is used to mean the governing body that administers the sport of cricket in that location and is a member of the International Cricket Council. The Irish cricket team, which is administered by Cricket Ireland, represents the whole of the island of Ireland, which includes both the Republic of Ireland and Northern Ireland. Both Stormont and Bready Cricket Club Ground, while geographically located in Northern Ireland, fall under the auspices of Cricket Ireland. 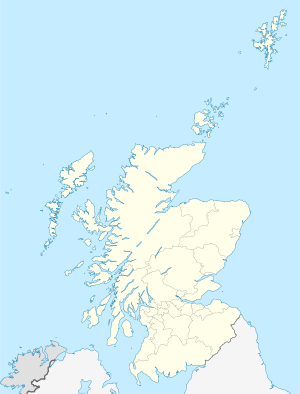 In addition, while Scotland is not its own country as it is a constituent country of the United Kingdom, Scotland does have its own team, which is administered by Cricket Scotland. ^ This figure includes all the qualifiers, both semi-finals, the 3rd place playoff, and the final. ^ This figure includes 5th place playoff. ^ a b "Scotland, Netherlands share title after washout". ESPN Cricinfo. Retrieved 26 July 2015. ^ "Outcomes from ICC Board and Committee Meetings". Archived from the original on 2 February 2015. Retrieved 29 January 2015. ^ "2015 ICC World Twenty20 Qualifier". ICC Development (International) Limited. Archived from the original on 18 May 2015. Retrieved 14 May 2015. ^ a b "Format of T20 World Cup 2016". Retrieved 10 April 2014. ^ "Scotland book World T20 spot with 23-run win". ESPN Cricinfo. Retrieved 18 July 2014. ^ a b "All-round Stirling seals Ireland's World T20 spot". ESPN Cricinfo. Retrieved 19 July 2015. ^ "Netherlands through after four-wicket win". ESPN Cricinfo. Retrieved 21 July 2015. ^ "Mangal, bowlers put Afghanistan in World T20". ESPN Cricinfo. Retrieved 23 July 2015. ^ "Chapman's heist puts HK in World T20". ESPN Cricinfo. Retrieved 21 July 2015. ^ a b c "Oman secure World T20 spot with memorable win". ESPN Cricinfo. Retrieved 23 July 2015. ^ a b "World Twenty20 Qualifier: Scots – Dutch final rained off". BBC Sport. Retrieved 26 July 2015. ^ "Scotland meet UAE in World T20 Qualifier opener". ESPN Cricinfo. Retrieved 14 May 2015. ^ "Afghanistan Squad". ESPNCricinfo. Retrieved 17 June 2015. ^ "Canada Squad". ESPNCricinfo. Retrieved 17 June 2015. ^ "Afzal to lead Hong Kong in World T20 Qualifier". ESPNCricinfo. Retrieved 28 May 2015. ^ "Tyrone Kane given first Ireland call-up for World T20 qualifiers". BBC Sport. Retrieved 1 June 2015. ^ "Minnows Jersey set for Twenty20 qualifying challenge". BBC Sport. Retrieved 7 June 2015. ^ "Kenya Squad". ESPNCricinfo. Retrieved 17 June 2015. ^ "Namibia to begin World T20 qualifier against Ireland". ESPNCricinfo. Retrieved 11 June 2015. ^ "Khadka to lead Nepal in World T20 qualifiers". ESPNCricinfo. Retrieved 11 June 2015. ^ "ICC World Twenty20 Qualifier: Netherlands Squad". ESPNCricinfo. Retrieved 15 June 2015. ^ "Oman Squad". ESPNCricinfo. Retrieved 17 June 2015. ^ "Papua New Guinea Squad". ESPNCricinfo. Retrieved 17 June 2015. ^ "Coetzer upset at Scotland omission". ESPNCricinfo. Retrieved 8 June 2015. ^ "United Arab Emirates Squad". ESPNCricinfo. Retrieved 17 June 2015. ^ "USA make four changes for World T20 Qualifier". ESPNCricinfo. Retrieved 17 June 2015. ^ "Coetzer added to Scotland World T20 qualifier squad". ESPNCricinfo. Retrieved 10 June 2015. ^ "Taylor withdraws from USA squad for World T20 Qualifier". ESPNCricinfo. Retrieved 23 June 2015. ^ "Surujbally replaces Steven Taylor in USA squad". ESPNCricinfo. Retrieved 26 June 2015. ^ "Teenage Lamplough to replace Barkat in Hong Kong squad". ESPNcricinfo. 2 July 2015. Retrieved 2 July 2015. ^ a b c "Canada pick Hiral Patel after Dutta opts for CPL". ESPNcricinfo. 3 July 2015. Retrieved 3 July 2015. ^ "Van der Merwe switches to Netherlands". ESPN Cricinfo. Retrieved 30 June 2015. ^ (14 July 2015). "Event technical committee approves replacement in Oman's squad for the ICC World Twenty20 Qualifier 2015 – International Cricket Council. Retrieved 15 July 2015. ^ "ICC World Twenty20 Qualifier, 5th place play-off: Afghanistan v Oman at Dublin, Jul 25, 2015". ESPN Cricinfo. Retrieved 25 July 2015. ^ a b "Ahsan Malik reported for illegal bowling action". ESPN Cricinfo. Retrieved 13 July 2015. ^ a b "Ngoche suspended for illegal action". ESPN Cricinfo. Retrieved 15 July 2015. ^ "Hong Kong's Nizakat Khan suspended for illegal action". ESPN Cricinfo. Retrieved 18 July 2015. ^ "Namibia's Davidson suspended from bowling". ESPN Cricinfo. Retrieved 23 July 2015. ^ "Gough, Farley lead Jersey to memorable win". ESPNCricinfo. Retrieved 11 July 2015. ^ "Match washed out after 7.4 overs". ESPNCricinfo. Retrieved 11 July 2015. ^ "Nepal no match for Ireland seamers". ESPNCricinfo. Retrieved 13 July 2015. ^ "Vanua blitz leads PNG to shock win". ESPN Cricinfo. Retrieved 15 July 2015. ^ "Dominant PNG progress to knockouts with easy win". ESPN Cricinfo. Retrieved 17 July 2015. ^ "Shahzad leads Afghanistan to third straight win". ESPNCricinfo. Retrieved 12 July 2015. ^ "World Twenty20 Qualifier: Ireland third after play-off washed out". BBC Sport. Retrieved 26 July 2015.